Happy Halloween! Here is my cookie suggestion for what to do with leftover fun-size candy bars. I wish I knew where this recipe comes from, but I've had it in my recipe box for too long, copied from somewhere. 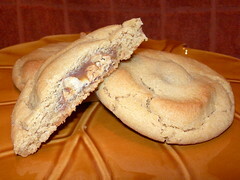 It is delicious - peanut butter cookies filled with mini candy bars, which melt and then become the soft chewy centers of the cookies. 1. Combine butter, peanut butter, and sugars until light and fluffy. 2. Add eggs and vanilla until thoroughly combined. 3. Mix in flour, salt, and baking soda (gradually is best!). 4. Cover and chill dough 2-3 hours. 5. Remove dough from fridge. Divide into 1-Tbsp pieces, and flatten. Place an unwrapped Snickers on each. 6. Form the dough into a ball around each Snickers. 7. Place on a greased cookie sheet and bake at 350 for 10-12 minutes. Mine are usually large enough that they require 15-16 minutes. I have a bunch of vegan and vegetarian cookbooks in my kitchen, and time and time again I find myself returning to Vegan Planet by Robin Robertson. No matter what I try from this book, it has always been delicious, and pleasing even to palates that are not vegetarian-oriented. (If you have done much cooking using recipes from people who have been vegan a long time, sometimes this is a difficulty!). I have wanted to make this couscous cake for a long while, thinking it might be a nice alternative to cereal for breakfast. The recipe includes pumpkin, tofu, and couscous, so it is filling and good for you! The only change I made was to omit the rum and to use whole wheat couscous. I'm not going to post the recipe, because I think every kitchen should own this cookbook. 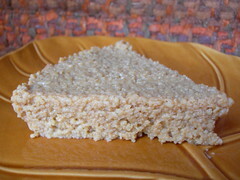 You can check out the author's blog for more couscous cake ideas! 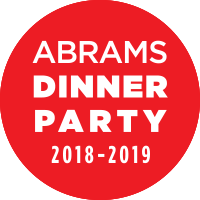 I just got back from a very quick trip to New Orleans, where I was at a meeting of the southeast and Texas chapters of the Music Library Association. I didn't manage to do many touristy things, a shame since this was my first time there, but I did wake up really early Saturday morning to fit in a trip to Cafe du Monde. At Cafe du Monde, you can buy beignets or beignets to eat, plus a delicious cup of Cafe au Lait. The coffee is coffee with chicory, but that isn't exactly unfamiliar to me since I tend to make my iced coffee from the coffee/chicory blend from Cafe du Monde. It was still great to have it the way they prepare it! My friend Laurie and I got there early, before the outside area was even open, so we sat inside in the original cafe. 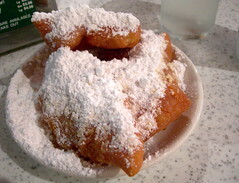 The coffee was extremely hot and the beignets were very fresh, and almost completely covered with powdered sugar. We sat on the edge of the cafe and got to look around at all the powdered-sugar-smeared faces, which was pretty funny. It is just impossible to eat without getting sugar everywhere, and despite constant cleaning the entire place seems slightly glazed. 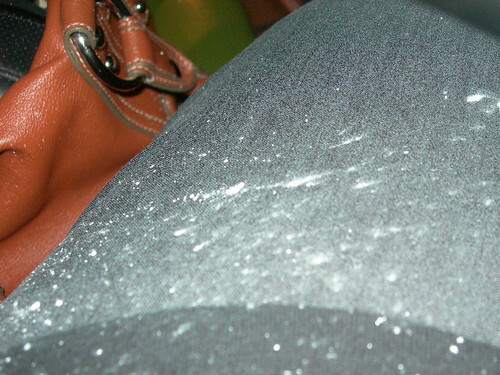 I even had to take a picture of my leg covered with sugar. At some point I just gave in and stopped fighting it. Cafe du Monde is a New Orleans institution. My colleague Jon said that his sister told him that if he went to New Orleans without going there, he had basically failed at life. Don't fail at life. Stop at the Cafe du Monde when you're in New Orleans. They make it easy - the original cafe a block from the Mississippi River is open 24 hours except on Christmas Day. You can sit in the cafe, the outdoor area, or purchase anything from a walk-up take-out window. You can also buy cans or bags of the coffee with chicory, but I just buy that at a local store here in Greenville so I didn't bother trying to cram any in my suitcase. 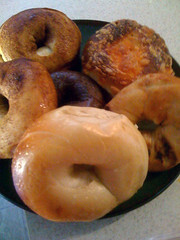 Greenfield's Bagels and Deli has become a staple in Greenville, SC, and has just celebrated their 10th year in town. On my first visit, I bought a half dozen of assorted bagels, and a few cookies to try (rainbow, my favorite, and a black and white). There looked to be delicious Kosher sandwich options for lunch, but we went with some cream cheese with our bagels, more of a breakfast option. These are REAL bagels. None of the soft bready nonsense you get at the store. These are toothsome but not dry, chewy, and light. I'll be going back, and if you are in town, you should stop by too! They are open 7 days a week, but close early, so check their web site for hours.